To attend, fill out a short survey online here. Proposals must be submitted not later than 11.00am Irish / GMT time, on the confirmed application date, using the online application form (eForm). No other method of submission of an application will be accepted. Applicants shall ensure that all the documents requested and mentioned in the eForms are provided. The day of principal photography (or equivalent) of the submitted projects must not be scheduled to occur within 8 months from the date of application. 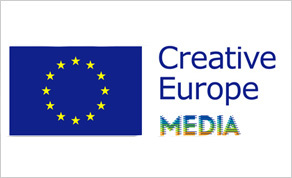 Find out more about this scheme online at www.creativeeuropeireland.eu.